If your district is interested in serving breakfast in an alternative manner (outside of or in addition to the cafeteria), AASA recommends visiting a nearby district where it is successfully implemented. Talk with principals, teachers, students and parents to get their views on how the program works. In the meantime, there are videos made by school districts where alternative breakfast is a success. Here are some of our favorites. The following video highlights the spring 2017 edition of School Governance & Leadership. 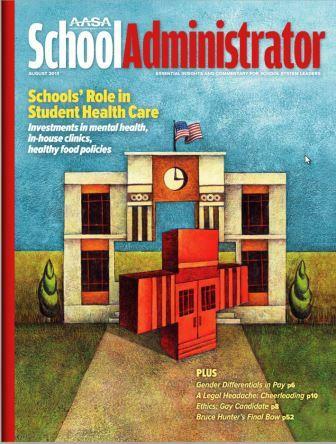 This issue, "Feeding Hungry Minds: Stories from the Field," focuses on how school districts nationwide are working to decrease hunger to ensure children are healthy, alert and ready to learn. Watch the Video. Superintendent Robert Avossa – Fulton County Schools, Ga. Superintendent Sharon Contreras – Syracuse City School District, N.Y. Superintendent Terry Grier – Houston Independent School District, Tex. Superintendent Lillian Maldonado French and Superintendent Nick Salerno – Mountain View School District and El Monte Union High School District, Calif. Superintendent Laurence Spring – Schenectady City School District, N.Y.
Breakfast in the Classroom Instructional Video – Riverside Unified School District, Calif.
How Important is Breakfast in the Classroom? – Syracuse City School District, N.Y.
Grab’n’Go Student Reporter – Riverside Unified School District, Calif.